Are you ready for a night that you will never forget? Doors open @ 7pm, show starts @ 8pm. 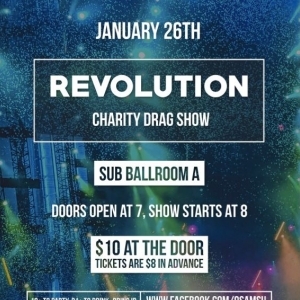 Tickets are $10 at the door and $8 in advance! Want the best seats in the house? Reserved seating is available IN ADVANCE but all seating is general admission starting the night of the event! Again - Your spot is only reserved if you buy your ticket in advance! This is an 18+ event. 21+ bring ID. QSA / MSU do not condone underage drinking nor drinking and driving. 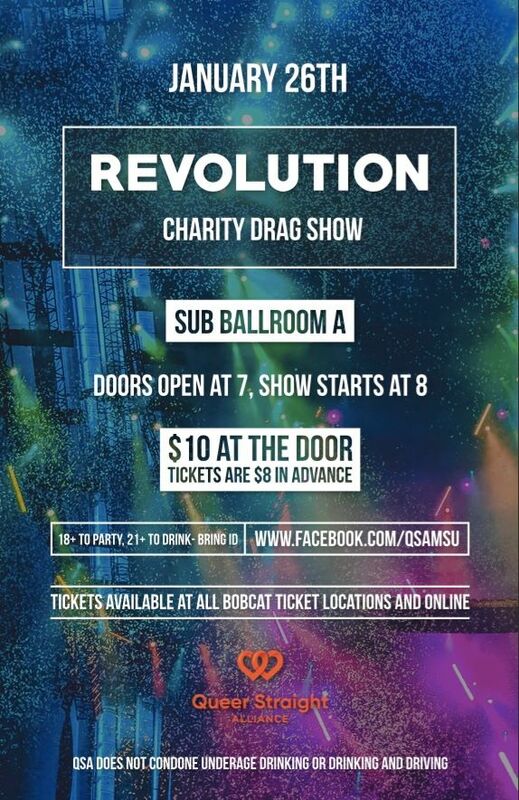 The views and opinions expressed in this show are those of the performers and do not necessarily reflect the official policy, views or position of QSA or MSU.